All the Warriors wanted to do over these final two games was avoid an injury to one of their important players. That goal may have been squashed in the first quarter against the Pelicans on Tuesday night. Late in the first quarter, Steph Curry attempted to make a move at the top of the 3-point arc and rolled his right ankle. 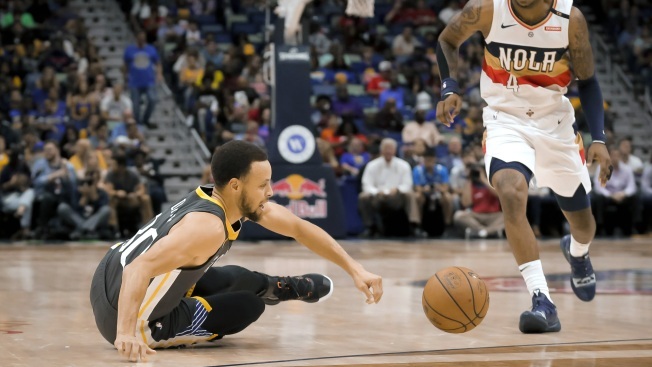 After examination, the Warriors diagnosed Curry with a mild right foot sprain and ruled him out for the rest of the game for precautionary reasons. Stephen Curry (mild right foot sprain) will not return to tonight's game for precautionary reasons. After rolling his ankle, Curry stayed down for a moment, got back up and adjusted his ankle brace. He was able to walk to the bench on his own power. After the timeout, he briefly re-entered the game, but left shortly after that and was seen walking back to the Warriors locker room. This is the last thing the Warriors need right now with the playoffs set to begin this weekend.